Kate Spade Saturday finally opened its pristine glass doors at its swanky Westgate address, and it was packed to the brims! The much loved sister brand, the fashion DNA difference is its young, fresh and light-hearted seperates from Kate Spade's uptown polished looks. Kate Spade Saturday showcases styles, accessories and lifestyle products at a price tag that's less expensive as well...good news for you sartorial hunters! The place was packed and busting at the seams before I even arrived! Greeting my sight was a cheery space filled with It made me think of those old school shops of the 60s, where neon signs were the trademark style. Brightly lit with cheery color schemes, the place reflected the brand's lively, laidback vibe. The curated collection of leather bags are currently available in basic colors and made in 3 different sizes (for bags), it is a breeze to mix and match with their capsule range of peep-toe wedge heels, loafers, boots and flats. Kate Spade Saturday really brings back the fun in creating some stylished pulled-together looks effortlessly. Visitors can collect their card-sized polaroids by uploading the pictures onto their Instagram accounts and hashtagging #Saturdays in good times! As the inhouse DJ played on a list of my favourite indie music, I literally danced my way around the store looking around for some fashion inspiration. So many nice things, so little time! Of course, marking this happy occasion, Kate Spade Saturday made sure no one went home empty-handed with their lucky draw. I was happy to have gotten a Benefit gift comprising of a pastel colored brolly and a sample set of their Pore-fessional product. PS: Do check out their all new standalone Benefit outlet as well when you are at Westgate, its just around the corner! 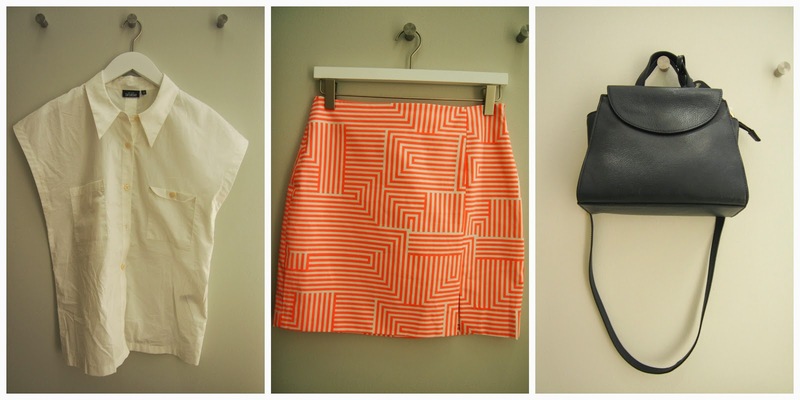 I had the pleasure of being invited to style a look for Kate Spade Saturday bloggers' styling challenge. With its wide array of styles, it was pretty difficult to choose and I took a pretty long time to decide (cue evil glares from waiting ladies) but I eventually settled on a clean but quirky look thats both versatile for work and play! 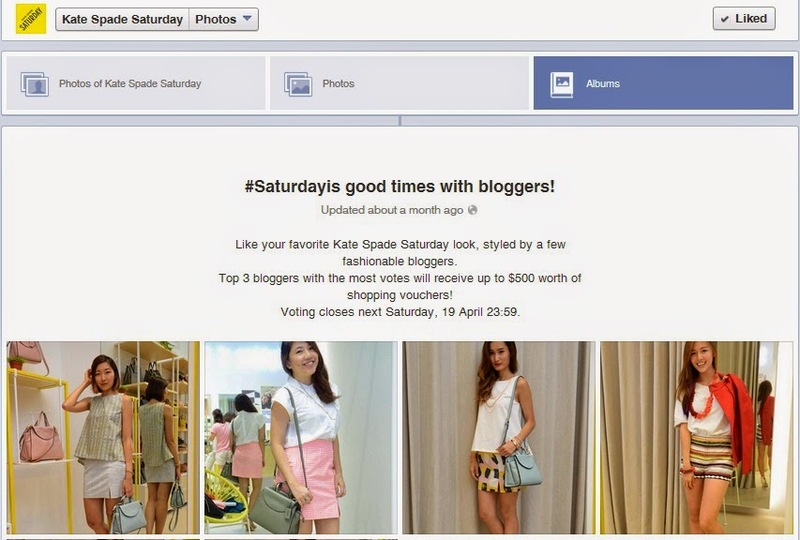 My look was then uploaded to the Kate Spade Saturday Facebook where friends and followers can vote for their favourite blogger's OOTD. And I was absolutely surprised and delighted to find out that I came in 2nd place in the running, GOSH! A big shoutout of thanks to all who voted for me, means alot! Thank You Kate Spade Saturday Singapore for the awesome invite and prize...and congratulations on your new opening!Do follow them on their Facebook and Instagram to stay updated!